Very nice private room with large private bath - clean and quiet. Good security in the building; vary safe. Convenient to Causeway Bay MTR station. Very convenient location. Steps from train station. Doorman at HK mansion very friendly. I booked last minute for New Year’s Eve and it was the cheapest room available in HK. Others said the room got humid after using the shower but I did not notice, and my bed was near shower. Other reviews also mentioned the noise from the busy street(pics taken from my bed) but i found it helpful to wake me up early. Good WiFi. The hostel, while not in the same building as where you check in, was about a 2 minute walk to the metro, close to a McDonald’s, shopping, and a 24/7 grocery store. The room was bigger than I expected (for 2 twin beds) and the shower was separate from the toilet (unlike other hostels I’ve seen). It was clean and even had a window. Location is the only one positive thing about this place. location is great, right in the middle of all the stores in the fashion walk. its a great area, the ocean is also just 10min away. across the street there is a big supermarket, a lot of money exchange places around the building, a 7eleven. the subway station is also 2min away and the double decker trams are also very close. there are many nice restaurants in the area and hundreds of bubble tea stores. you have pretty much everything. the room was small but it was enough for us since we only slept there and wandered the entire day. there was an adaptor for the power outlet so i didnt have to use mine. the cat they have is adorable. it cries a lot tho but is very friendly and playful. it got in our room once while we opened the door lol. very sweet ans fluffy. Especially the price of the hotel is really cheaper than any other hotel and the location of the hotel is really convenient and hassle free because we are close to the transportation and stores at fashion hall. The location is the strength of the hostel. Very convenient for all types of transportation. Safe and near the 24 hour wellcome supermarket and ikea for shopping! 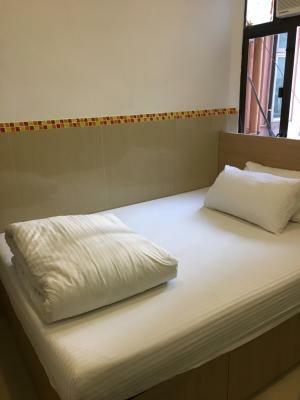 The place is near to shopping mall and mtr station, bus station..
Hong Kong Hostel This rating is a reflection of how the property compares to the industry standard when it comes to price, facilities and services available. It's based on a self-evaluation by the property. Use this rating to help choose your stay! 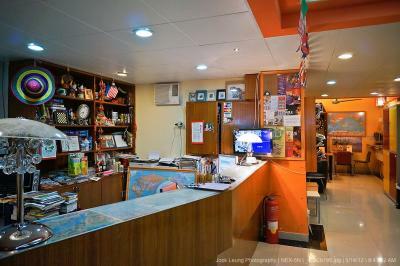 Hong Kong Hostel provides simple, well-equipped accommodations in the heart of Causeway Bay. It also offers local calls, fax facilities and Wi-Fi, all for free. The hostel has a fridge and microwave in the common pantry. 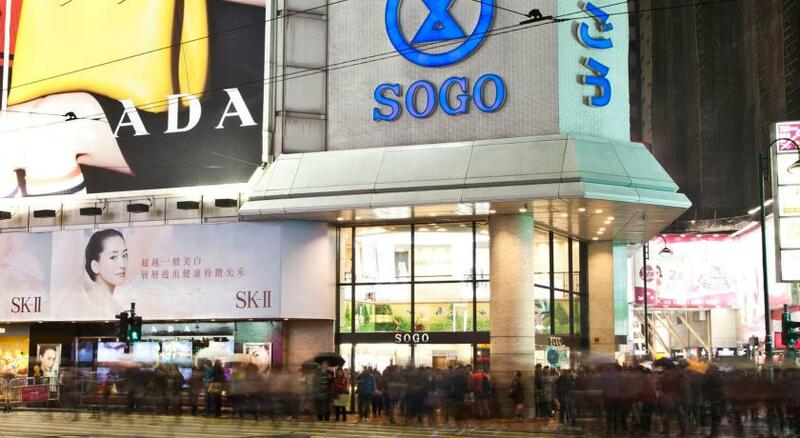 It only takes 2 minutes on foot from the property to Causeway Bay MTR Station and a minute to Sogo Department Store. It takes an hour from Causeway Bay MTR to Hong Kong International Airport. 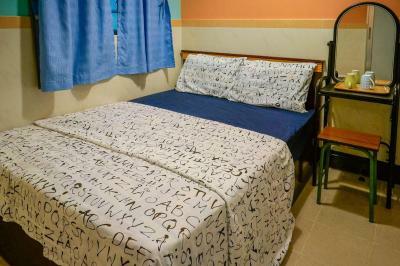 The rooms at Hostel Hong Kong are clean, featuring fresh linen, tiled flooring and warm lighting. They are equipped with a flat-screen TV and an private bathroom fitted with free toiletries. All rooms have a cozy seating area. Guests can enjoy a refreshing drink from the vending machine. When would you like to stay at Hong Kong Hostel? The rooms feature fresh linens, tile floors and warm lighting. 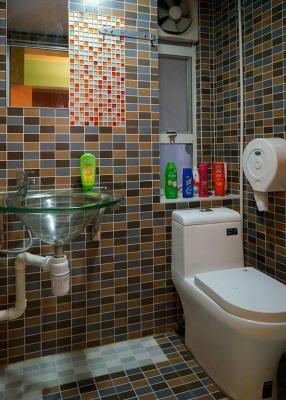 They has a flat-screen TV and a private bathroom are supplied with free toiletries. The spacious rooms feature fresh linens, tile floors and warm lighting. They have a flat-screen TV and a private bathroom has free toiletries. They can accommodate 3 guests. This bed in dormitory has a seating area, air conditioning and sofa. We have been serving backpackers for over 10 years. 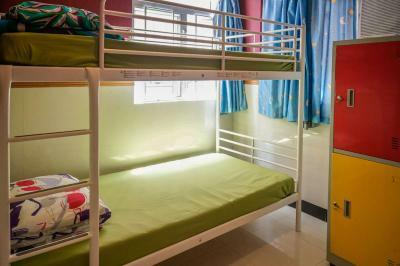 The Hostel was established after a market research was done in Hong Kong by co-owners as to how many tourists come to Hong Kong every year. 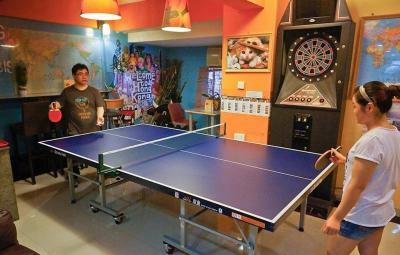 The Hostel is now well known all over the world as it has expanded in Causeway Bay. Hong Kong Hostel now has different branches of hostels. 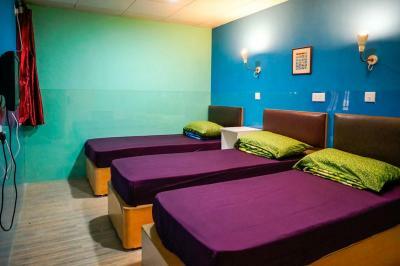 The hostel is expanding ever further beyond Hong Kong borders throughout Asia to meet the demand of our service and hospitality in Asia and throughout the world. House Rules Hong Kong Hostel takes special requests – add in the next step! Hong Kong Hostel accepts these cards and reserves the right to temporarily hold an amount prior to arrival. Please note that the credit card is used for pre-authorization. 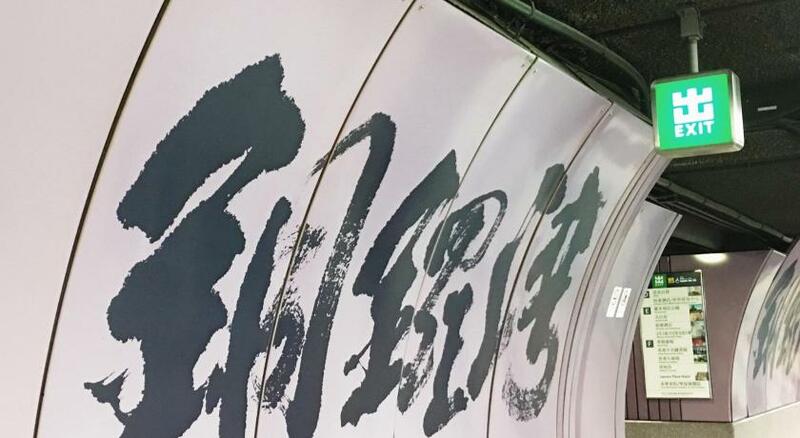 Only cash, Alipay and Wechat Pay can be accepted upon arrival. Please inform Hong Kong Hostel in advance if you will arrive later than 00:00 midnight. You can use the Special Requests box when booking, or contact the property directly with the contact details provided in your confirmation. Early check-in before 14:00 is possible. The property offers free luggage storage if the room is not yet ready. A half-day rate will apply if you check out after 12:00. The front desk and key collection point is located on 3F of Paterson Building Block A. Please be reminded that you may stay in another building within a 5-minute walk from the reception. There will be an additional charge for the key deposit of each key. Towels can be rented from the reception with a deposit. Please note that check-in and key collection take place at: 3/F, Block A, Paterson Building, 47 Paterson Street, Causeway Bay, Hong Kong 000. The water heater sometimes gettin cold when take shower. I don’t know why but maybe should be checked. Overall, everything was awesome. Everything was ok. One day only a noisy neighbour. The hostel and room met my expectations. If you are expecting a European-style party hostel, this is not it. Though that's not a bad thing either. Surprisingly comfortable bed and great en suite shower for a hostel. Really, the bed, pillows, and comforter were super comfy! We were given a bigger room at arrival, the person at check-in was helpful. The location is one of the best to discover Hong Kong. Right at the center of everything, surrounded by tons of places to eat and shop. Problem with the toilet no water for 7 days, internet is always down, we have to ask to change our sheet after 7 days, never change the glass in 16 days! Nice part of the city, closer of the MTR, 24h store in front! Check in process asked us for HKD as deposit, which we had to pay in cash, so we did. We assumed that this already included the towels (for which a deposit is required). Unfortunately they didn't tell us that it wasn't included. Too late. Husband was already done taking a shower before we realized that we didn't have any towels in the room. 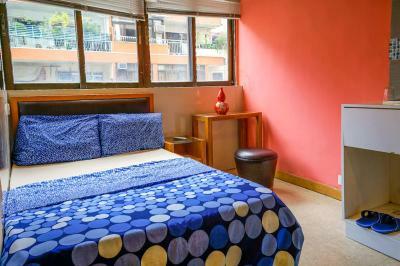 The location is great as it's close to MTR and taxi rank and food street is close by. Small room but even smaller bathroom. staff seemed reluctant to help. Disaster of errors. Airconditioning broke, repair man walked across bed to fix. (Left footprints on white sheet) Didn’t work, 24 hours with out air as windows don’t open. When fixed switch still not working correctly, but a point between on and off makes it work. Washing machine in room doesn’t work. Toilet does not work properly, you have to fill cistern with shower head. Sheets weren’t changed during my two week stay. Some staff on desk very rude and very unhelpful. The room and seperate bathroom were a good size and recently made newer. We are not sure if the hostel has permits for operation. All over the elevator, there is a memo that says the building is primarily for long term residents and not short term. We are not sure of its permit to operate. I really like the location. 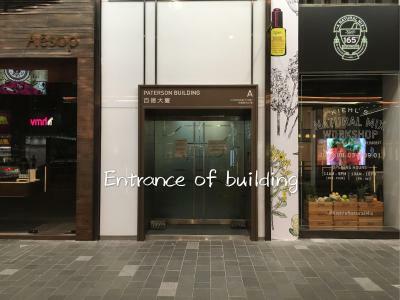 This hostel is near all of the shopping area in causewaybay. So near IKEA, decathlon, Uniqlo, and GU. There is also a nearby Wellcome supermarket. I would really recommend this hostel. The room was COMPLETELY different with the pictures that you can see before to go. Our room didn't have window to outside, just a little gap to the courtyard. Everything was so wet inside, the walls, the environment... We left the luggage opened and our clothes were a bit wet after 8 hours. The environment inside the room was very humid, in addition, the bathroom door did not close properly and the water came out of the bathroom. I WOULD NOT RECOMMEND THIS HOTEL TO ANYONE, AND LESS THAN FOR THE PRICE OF THE ROOMS, OUR STAY WAS PENALTY, A BAD NIGHT. WE HAVE BEEN IN OTHER HOSTEL OF HONG KONG AND WITH DIFFERENCE THIS HAS BEEN THE WORST. The location is okay, it's in a commercial road. Staff check in and I paid HKD4000 and will settle all payment later as need to change money, got key, next day fou D key not able to access room. Staff said issue one day key as to make sure I will come back to pay the rest. I wasn't told key valid one day only and lucky we didn't get back after midnight otherwise will end up in street. I told staff HKD4000 is good for days rental and not for one night only. Staff replied key only issued if I paid all rental for 15 days which is HKD7051. Staff work with brain as they did not tell us the key is only for one day. No HALAL food at the nearest place. Small but nice. I like the view.